Bangladesh has shown a lot of promise and resilience by pushing ahead with the national development agenda, reflected in declining poverty and rising economic growth. However, events over the past 12 months suggest that the country’s macroeconomy was under strain. It is therefore imperative that the government should take quick actions to correct the situation. While, the restoration of macroeconomic balance is an immediate priority, Bangladesh continues to remain a low income developing economy with a substantial long-term development agenda. Notwithstanding the encouraging progress with poverty reduction, there are stifi some 47 million poor people in Bangladesh. The incidence of poverty is much larger in the rural areas as compared with that of the urban areas. Poverty incidence also varies by divisions. The experience of Bangladesh also shows substantial income inequality that has grown over time. On the human development front, Bangladesh has done well, out-performing most South Asian countries in improving a range of human development indicators. Yet this progress is from a low base. 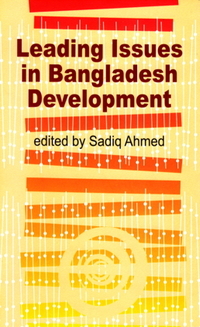 The next round agenda for human development that involves quality of education, moving to tertiary and technical education, developing skills, improving maternal health, improving the quality of health care, and stabilizing the growth of population in line with the country’s carrying capacity remains to be addressed. Resources, policies and institutions needed to move to this new agenda are severely constrained. A major contemporary development challenge is the need to arrest the rapidly deteriorating urban quality of life. The crux lies here at addressing the city governance. This major institutional challenge does not even get discussed in political debates. Finally, the yawning gap in social protection and safety nets poses a serious challenge for social equity. At the same time Bangladesh is prone to various kinds of natural disasters including the adverse effects of climate change. The associated vulnerabilities are large and strengthening of related public policies and institutions is essential to mitigate these vulnerabilities. This book comprising of invited essays seeks to develop these contemporary issues and challenges in a comprehensive yet succinct manner. Drawing on lessons of experience from Bangladesh and elsewhere the papers seek to provide new inputs to the policy debate in each of the areas. The book should be useful for policy makers, donors, researchers and students of development economics.